Bonetti starts with a useful defeat: Dinamo’s through to the Romanian Cup final! Dario Bonetti’s first game in charge wasn’t great. Dinamo lost against Gaz Metan Medias and the last 10 minutes were really difficult, as the home side managed to make it 2-1 and needed one more goal to overturn the 0-1 defeat suffered in the first leg. The Italian decided to make small adjustments to the 4-4-2 that had failed to deliver under Liviu Ciobotariu, after some impressive displays and results in the first half of season. First of all, he added a second defensive midfielder, Dorel Stoica, who did three good things: 1. protected the back four well enough even if he didn’t look in top physical shape (both goals came from set plays); 2. allowed Djakaridja Kone to act higher up the pitch and use his energy and muscle to block the opposition’s build-up strategy earlier than usual; 3. scored Dinamo’s only goal, decisive for the step to the final. This lead to the usual playmaker, Catalin Munteanu, who also suffered an obvious dip in form, to move on the left wing, where he found more space and time to dwell on the ball and look for options, as well as send some quality crosses – something nobody else does at the moment for Dinamo. Marius Alexe's potential remains more important for Dinamo than Ionel Danciulescu's proven quality. The most important move made by Bonetti was the use of Marius Alexe in a different position, who moved from left midfielder to second striker – a role that (in my opinion too) suits him better, making him less predictable in movement and allowing him to get more scoring opportunities. Even though it had little effect in last night’s game, this decision can have major implications not just for the young player who has been in disappointing form in the season he was supposed to prove himself too good for Liga I and ready to move abroad, but also for the team. If he will keep on playing there, there will be little to no space for Ionel Danciulescu, the veteran striker who is the club’s second scorer this term and the active player with the highest number of goals scored in the Romanian first division. This isn’t a surprise, as Danciulescu, who has scored over 200 goals in his Liga I career, had been forced by the same Italian coach to leave Dinamo a few years ago and move to Hercules Alicante, in the Spanish second division, a club he has helped at that time to gain promotion in La Liga. Romania’s Under 21 defeated by France. With a little help from Emil Sandoi! Dinamo's Marius Alexe played once again below his ability and couldn't help the Under 21 avoid defeat in Nantes. If you check Romania’s page in the U21 section of the uefa.com website, you’ll find this: Competition status – active. The right words, after a second consecutive defeat against France without a single goal scored, should be “basically, out!”. After a 0-2 defeat at home a month ago and already four points behind France and Slovakia, who also had a game in hand, Emil Sandoi decided to go all out for a win – the only result that would have kept us in, or active, as UEFA likes to say – with a brave tactics. 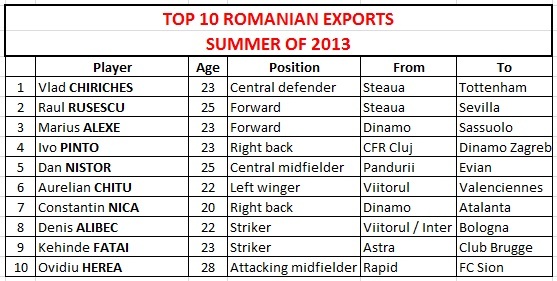 A 5-4-1 which you’ll struggle to find even in the Romanian second division, where the coach should spend a lot more time looking for youngsters that play regularly, rather than settle for the usual reserves from the first division teams. Sandoi also decided to use two right footed players on the left side, Dean Beta and Marius Alexe, reducing to a minimum the lone striker’s chances of getting some decent balls upfront, with Ionut Enache easily kept at bay on the right side, given the little support Cornel Rapa usually offers from the right back position. Plan A – avoiding to concede and hope for the best upfront (that’d be an own goal scored by the home team) – lasted for almost 40 minutes, with some good performances from the central midfielders Maxim and Matei, outnumbered, but not yet tired. Unfortunately, Plan B was something that Sandoi never prepared and who could blame him? In fairness, the senior team played quite recently their must-win game against France and, with the score 0-0 towards the end of the match, Piturca’s men were taking no risks and desperately trying to hold on to the useless draw, much to the surprise of their opponents. In that case, why should we ask more from the Under 21, which so often is seen as a team that’s supposed to “prepare” the youngsters for the A national team? That’s exactly what Sandoi is trying to do. For years! After yet another poor year, the Capital clubs Dinamo, Steaua and Rapid have renewed their hopes of returning to greatness. Let’s take a look at three names that need to (finally) deliver, if the Bucharest big shots are to stand a chance against the always ambitious and recently better organized teams from the rest of country. 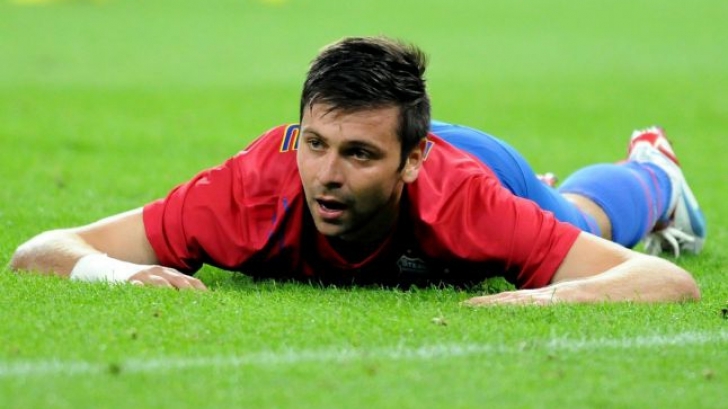 The former Sporting Lisbon forward has failed to deliver since his return to Romania. He spent the second half of last season playing (and scoring) for Kavala – 4 goals in 12 appearances, in the Greek SuperLeague, but the club refused to make the deal permanent. Back in Bucharest, Niculae had to accept a wage cut and it will be interesting to see if he cares indeed for Dinamo or he’s just saying what the constantly decreasing number of fans love to hear. With the best active scorer in Liga I by his side – Ionel Danciulescu, now 35 years old, scored a total of 193 goals in the Romanian top flight – and fueled by the most promising wingers in the country, Gabriel Torje and Marius Alexe, Niculae should deliver more goals than excuses in what promises to be another inconsistent season for the Red Dogs. If Steaua wants to have a better season, a player like Tanase definitely needs to start looking like a genuine number 10. A right footed attacking midfielder who settled for a position on the left wing, the Romanian international has often drifted from inconsistent to simply useless, since his big, sorry, huge money move from FC Arges, three years ago. Numbers speak for themselves: one goal scored last season and a total of five in over 120 matches in Liga 1! Predictable, lacking determination and the mentality (not the quality) to step up and act like the decisive player he was supposed to be, he fails to pose a threat with his shot, doesn’t get into scoring positions and simply cannot deliver quality balls in the last third. One of Felix Magath’s flops, Deac comes after a poor season with Schalke 04, but I wouldn’t be too surprised if the chance to take showers alongside the likes of Raul and Huntelaar has convinced the Romanian international that he’s among the greatest players alive. Presented by Magath as a number 10 – still amazed by that statement! – Deac will certainly have enough chances to redeem himself in the one year long loan deal. Razvan Lucescu used to play him in the national team even when he was severely lacking match fitness, but the blonde winger certainly has a tough job ahead. Rapid parted ways with the likes of Cesinha and Juliano Spadacio, two of the best left footed players this league has seen in recent year, and will find it hard to accept another year without a serious title challenge.